Until then, though, allow me to introduce myself. My name is Rebekah von Stein. Great Start To A New Paranormal Series! Well that was something I just wasn’t expecting! I can’t believe this is the same author that writes my beloved hockey series about the Nashville Assassins and Bellevue Bullies! I wouldn’t have dreamed that she would write paranormal! Well let me tell you this story is something so different than any other paranormal book that I have read. Yes, it has vampires, wolves, witches, and shifters; but the addition of the Patchwork as another society of the supernatural, intriguing! Even more intriguing is that Rebekah von Stein and her family are decedents of Dr. Frankenstein. I won’t go into great detail about what happens in this story because you need to experience it for yourself. We all have our particular tastes and it may not be for everyone, but I really liked it! The main character, Rebekah is young and immature at times, but I wasn’t exactly mature at nineteen either. Her father is a piece of work, no pun intended. He is so blinded by being the leader of the Works and trying to give immortality to Rebekah, that he doesn’t see his daughter for who she is and doesn’t consider her wants or needs. He only wants what is best for the Works and what he feels is best for his family. He dictates to his children and they are to do as they are told, without question or argument. Rebekah argues with her father and brothers all the time, but they dismiss her. Killian enters Rebekah’s life and she is strongly attracted to him, even though he is a vampire. Oh just to mention, there is no serious relationships allowed outside of your own faction. It can mean imprisonment or death if you go against this. So Killian being a vampire is a no go. There is a lot of flirting between the two and the infatuation grows. The secondary characters are terrific, her brothers, her uncle (her father’s brother), her ex-boyfriend, her vampire coworker and friend Alena, her bodyguard JJ, the prisoners and the customers at the bar. The story has political intrigue, suspense, lies, power shifting and there are so many secrets to be revealed. I can’t wait to see how this series unfolds. If you want a new twist to your paranormal genre, then this is the book for you! Fresh look at all the beasties! Paranormal is my go to first love of Romance books so add in a super hot Hockey Romance writer and I'm on it! Thrilled to see Toni Aleo venture out to a new genre. And hold on because she NAILS this! I love books that give me all the beasties. 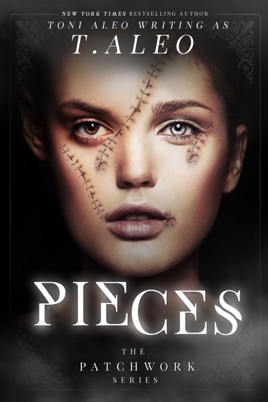 In Pieces we see Shifters, Vampires, Witches, Frankenstein's descendants and Wolves. There is mention of humans but we don't come across any in this story. After getting the lay of the world, I really felt this was almost dystopian in nature. Things have evolved over time. The supernatural is living among the humans but still keep to themselves. Each faction has a leader, but Rebekah's father is the ruler over all. And he has secrets running miles deep! So many secrets in this book, in fact, I can't share much more with you. Rebekah, despite being pieced together, is a typical young adult--, rebellious, prone to swoon, emotional, trying to be independent. 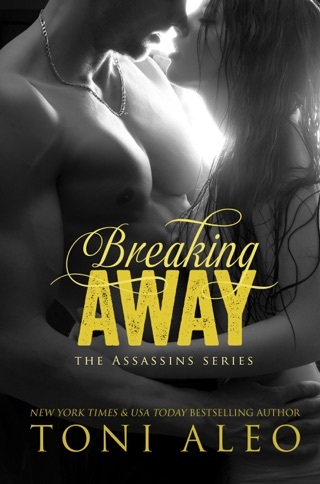 Her heart has been broken but she is trying to live her life as best as her overprotective brother's will allow. The secondary characters absolutely made this book--the prisoners, the brothers. ex-boyfriends, Rebekah's uncle--all made for a very rich story. Killian is also a mystery. The banter between he and Becca is so flirty. The two of them are connected at the soul level. I sense a change coming in the WORKS and these two are going to be the catalyst. Fantastic start for a new series. LOVE what Toni is doing int he paranormal world! Bring me more!!! Toni Aleo is an excellent writer and can convince me of anything! This book gave alot of information to set up the series - the society this book takes place is pretty cool! Great story and I can't wait for more!